The Official Christening Photo of Prince George! His big moment mastered the little prince of royal, Prince George with serenity! On Wednesday, the firstborn of Prince William (31) and wife Kate (31) was baptized in London! NOW SHOWING THE ROYALS TO THE OFFICIAL PHOTO BAPTISM! 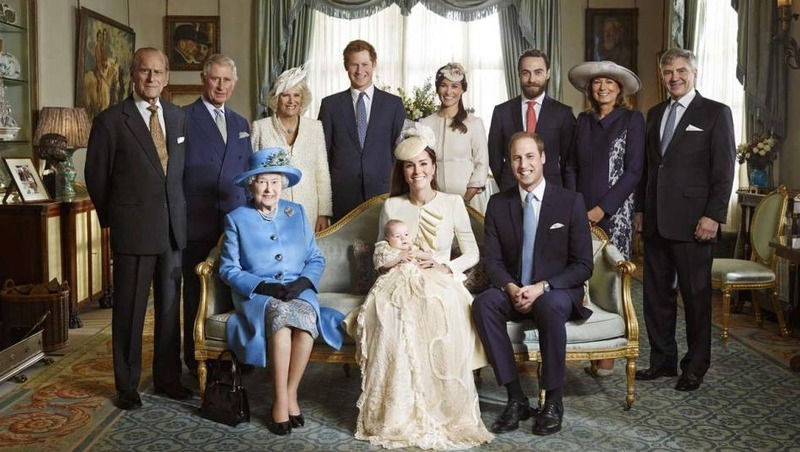 Sitting proudly Queen Elizabeth II (87) next to her grandson and also the parent couple William and Kate beamed into the camera – the official photo of the baptism of the little prince shows the whole happy family. Only the seven godparents missing from the family photo.